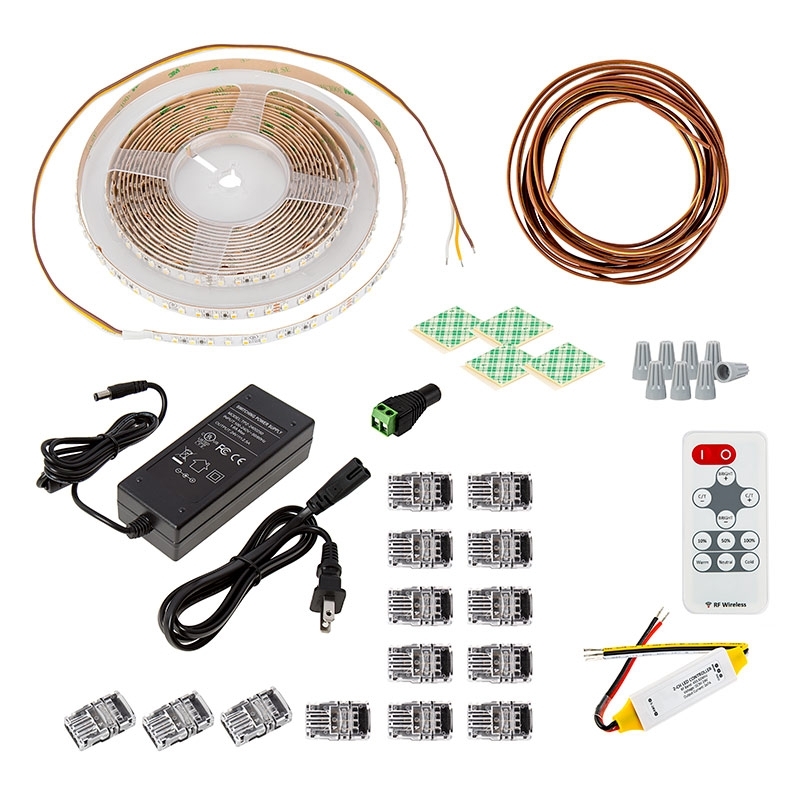 Tunable White LED Strip Light Kit - Color Temperature Changing 24V LED Tape Light - 511 Lumens/ft. 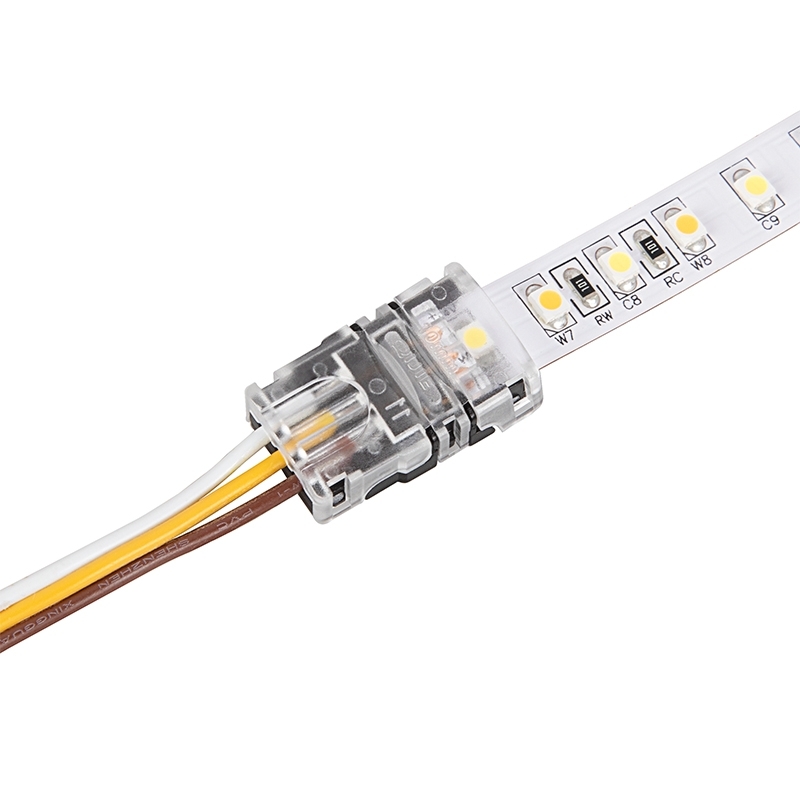 3528 LED Strip - W+W Tunable White LED Tape Light - 24V - IP20 - 350 Lumens/ft. 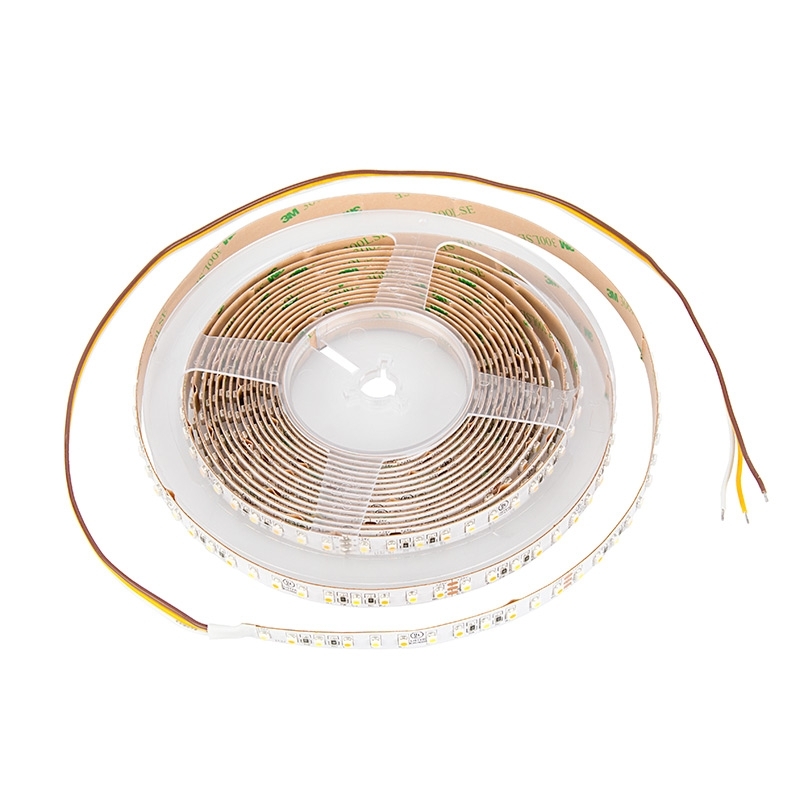 Our in-house lighting specialists developed this LED strip kit with you in mind. 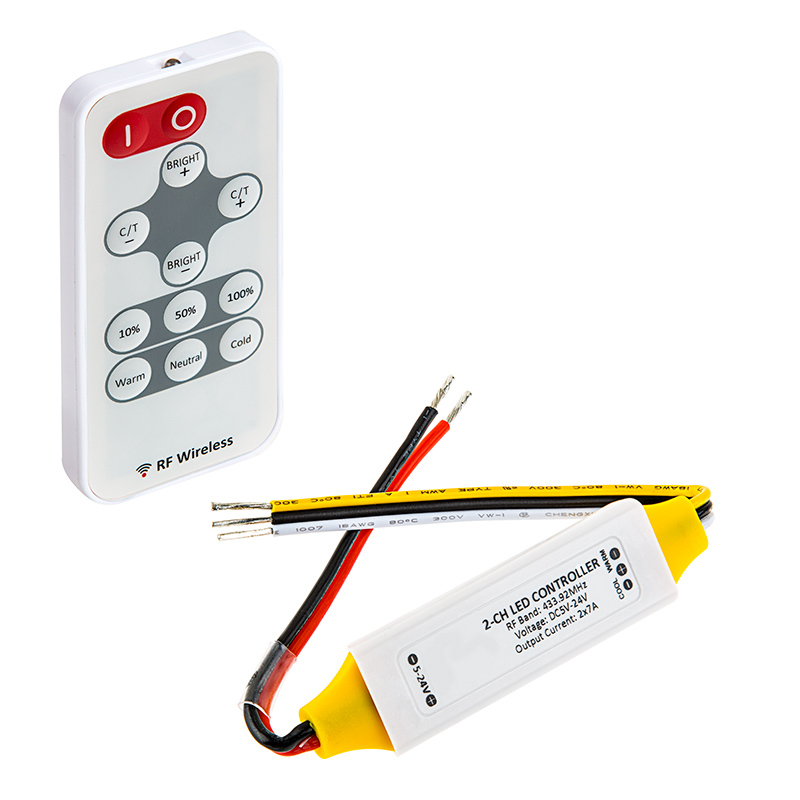 Each kit includes everything you need for simple, stress-free installation and use. 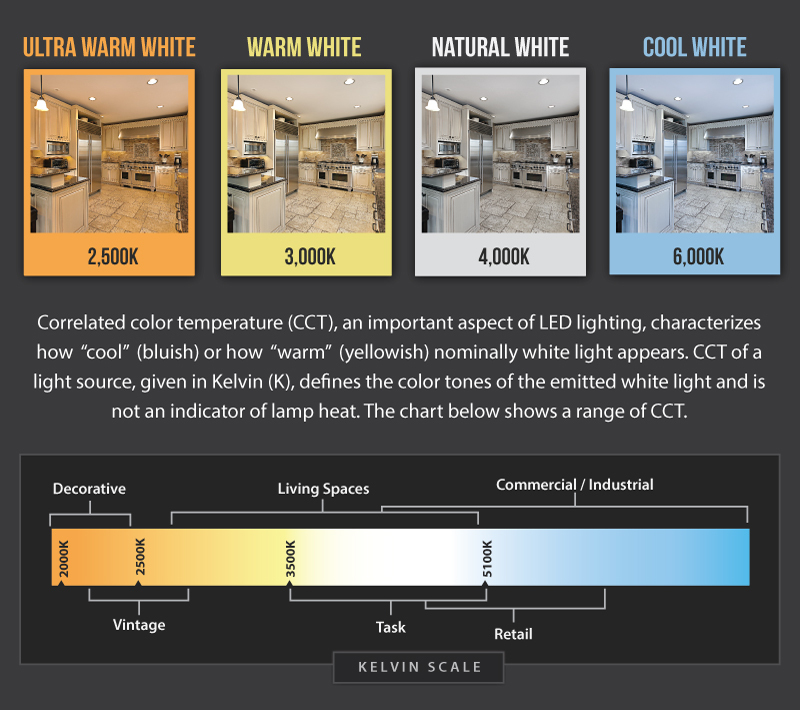 White LEDs can be adjusted to the exact color temperature to fit your space with an ultra-slim wireless RF remote. 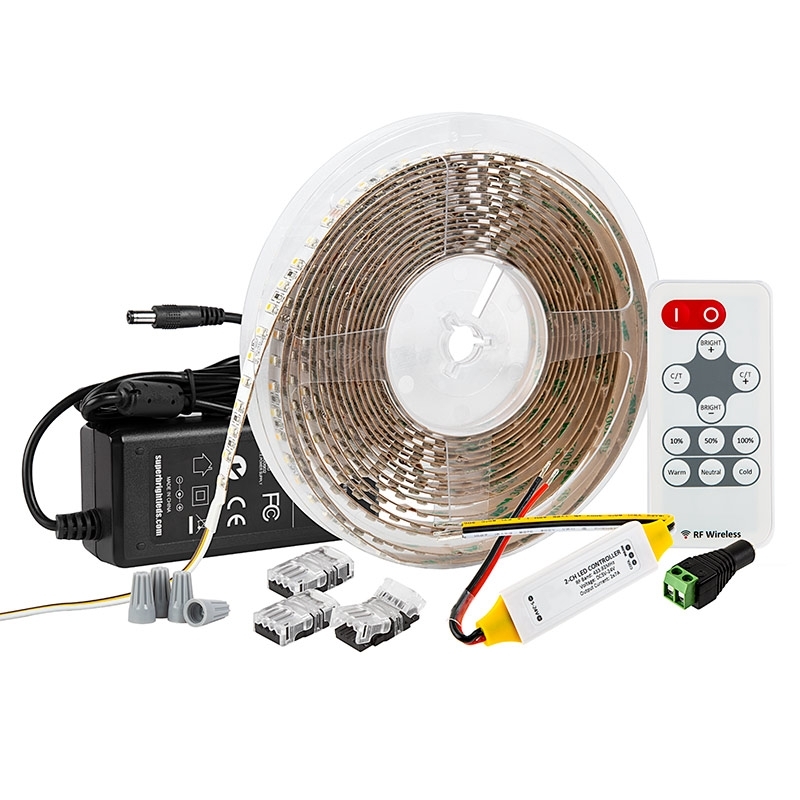 Use solderless clamps to quickly and safely connect segments of LED strip tape without the hassle of wire stripping or splicing. 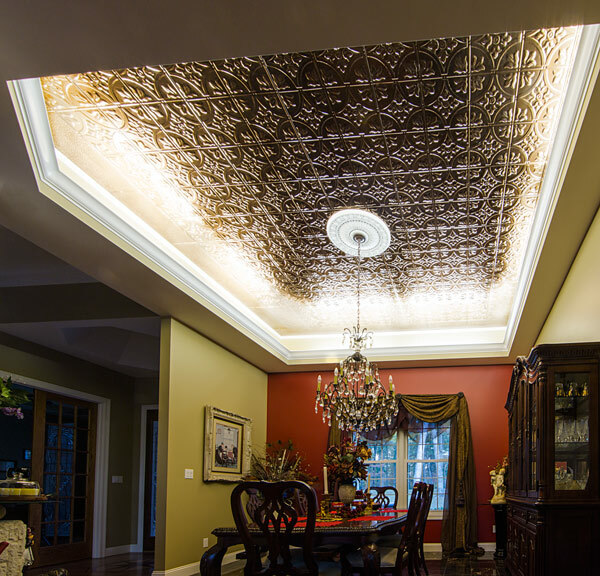 Long-lasting 3M™ adhesives ensure easy mounting to virtually any surface. 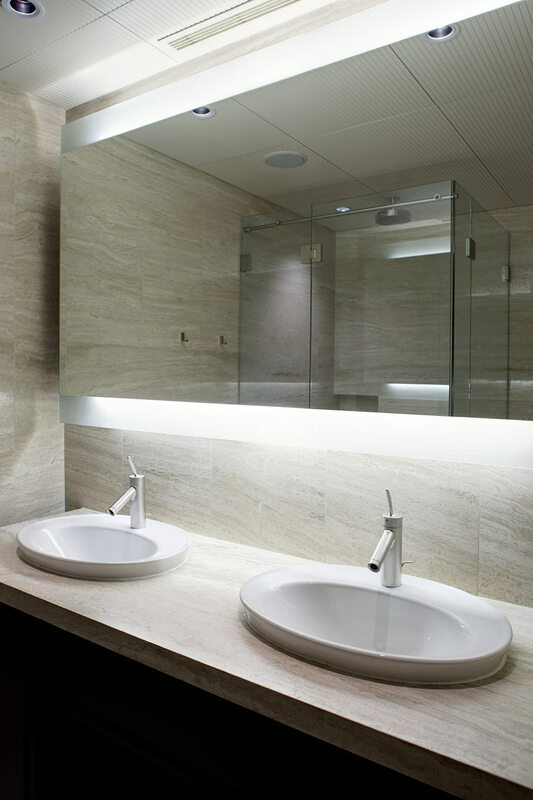 Perfect for a variety of commercial, decorative, and accent lighting applications, including restaurants and bars, cove lighting, shelf and display lighting, and under-cabinet lighting.